The nation’s biggest home builder also has the biggest house-building complaints file on the Watchdog database. Persimmon build new homes and renovate old buildings. 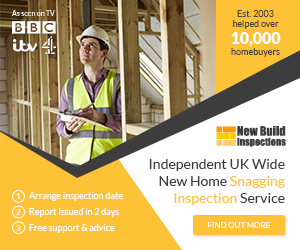 Watchdog has received over 450 complaints ranging from problems rectifying extensive snagging lists and poor customer service to subsidence and floods. Susan Heron bought an apartment in a converted gospel church, she has experienced problems with the kitchen cupboards, the cooker, dangerous electrical wiring, dangerous banister fittings and even has had trouble closing the front door! Michael James paid £100,000 for a new house on the Meadowcroft Park estate in Stafford. His major concern three years on is that the road he lives on has not been completed. There are pot holes and raised drains that make driving in and out of the estate an uncomfortable experience. Dr Elizabeth Austin was looking forward to moving into her flat in Edinburgh. However, the project was delayed and when she finally moved in, in December 2003 it was nearly 16 months late. A month in, the development still isn’t finished and Elizabeth feels like she is living on a building site. Unfortunately, Elizabeth has found she is ineligible for compensation because new homes are exempt from the Sale of Goods Act 1994. Persimmon apologise for the problems experienced by the people in our film. They say the majority of their buyers are happy with their new home and the level of care received. They do acknowledge that occasionally standards fall below acceptable. They’ve invested heavily in customer care to eliminate the type of problems highlighted.